A prophet who dressed in rags at his church was disowned by congregants with the security nearly manhandling him. None of the congregants seemed to walk the bible talk as they reduced JESUS Generation International Church leader, Prophet Edd Branson, to a non-entity and forced him to sit at the periphery, near the church while dressed in rags. Critics believe churches are pulling all sorts of publicity stunts these days and the media can easily be used as a tool to spread church propaganda and or market fake miracles to bring more followers to pastors, prophets, apostles, madzibaba and many other church leaders. Whilst some church leaders fake great miracles and try to make people believe they are real, this prophet actually confirms that what he did was stage managed to fool his congregants. What may not be so certain is whether the congregants were in on the act and told to abuse the madman/beggar so that the whole script comes to fruition. 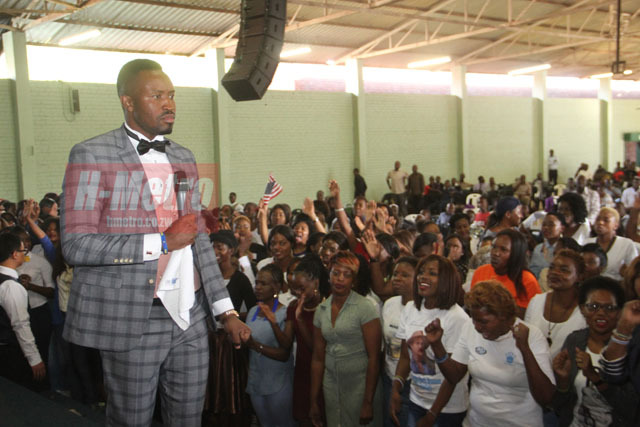 Security personnel also wrestled Prophet Edd when he entered the church and walked towards the pulpit at Harare Agricultural Showgrounds on Sunday. Congregants also denigrated him uttering negative comments as he made his way into church. Prophet Edd told H-Metro that his intention was to examine maturity of the congregation, test if they receive his sermons seriously or just come for deliverance. Prophet Edd arrived for church service ahead of his congregation to see if there was anyone who would pay attention to a beggar. “After reading and studying a passage of scripture about love, God gave me grace to practically test the congregation and share a message that changes their lives,” said Prophet Edd. “Many people do not do what our lips confess and it is easy to confess love, without meaning it. “From the time you are born, your body is in a race to expire and the space between the time you were born and the day you will die is what God cares about. “How many lives have we touched? You are never too poor to be a blessing in somebody’s life. “In the present day, we have the Church but we no longer have the Disciples of Christ. “People no longer have the love of Christ inside their hearts and are only after themselves not considering their neighbours and by coming in rags I wanted to test their faith and love. “It is very possible and very easy to entertain angels unknowingly and many times, we have come across angels sent by the Lord, but they were not packaged in the way we were expecting and we looked away, looking for a form that matches the picture in our heads. “The church needs to repent. “We have people suffering every day but many want to please Prophets and pastors failing to pay attention to their neighbours. “If you can do it for the Prophet why can’t you do it for the person in the streets? “You don’t need deliverance, healing or prophecy but need to repent and have the love of God in your heart,” said Prophet Edd. He said by coming dressed like a beggar many were disgusted, some spat before entering the church. “Others were terrified and some of them didn’t even notice me expecting to see the Prophet on the altar but no, there I was. “If they had stopped and blessed me, even with spare change, wouldn’t I have spoken a word into their life? “Blessed is the hand that gives than the one that receives. “Learn to love truly, let the pains of your neighbour affect you and what you fail to do to the brothers and sisters, you have failed to do it to God. “When you refuse to give to the poor, you have refused to give unto God. “When you spit at the dirty beggar, you have spat in the face of God! “For it is our responsibility to help these people, and to fail to do so is to fail the Lord your God! You do not need financial breakthrough! “You need love and put your heart in order, going to church is not a ritual. “Christianity is not just going to church every Sunday but a lifestyle and it is not opening and reading your Bible,” said Prophet Edd. 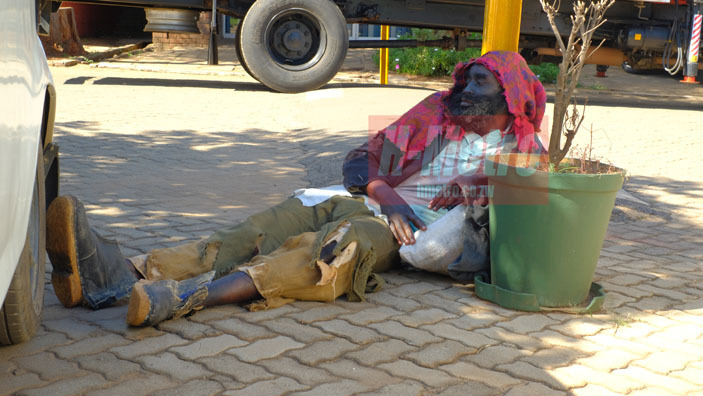 He shared his sermon dressed like a beggar and left the congregation beating their hearts in tears for failing to take care of the beggar.